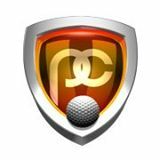 The Perfect Connection Golf Swing (PCGS) is a golf methodology that is focused on the amateur golfer. At PCGS we understand that professional swings are not attainable by most golfers so we developed a system and swing that works within the limitations of most people. A key emphasis is a shorter swing that also gives each individual the luxury of tailoring the swing to their body. We use shoulder plane like the long drive hitters and most PGA Tour players. We teach the proper release, but most importantly proper setup and focus in on areas that typically lead to injuries so we can avoid them while still improving your game.